Hasn’t even been a week and here I am again. I have a newish iPad 2 and have just been finally settling into it, which means I want to play with color on it, too, as well as making use of the WordPress iPad app. This whole post was produced on the iPad, from text to pictures. Though I did take the original photo with a proper camera. Anyway, here we go! 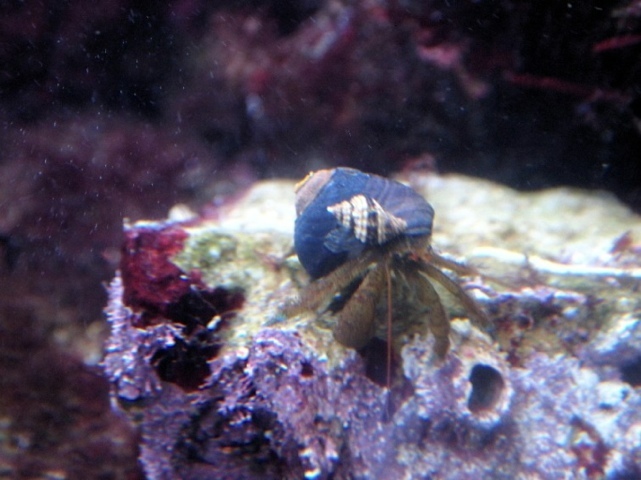 Here is a hermit crab at the Monterey Bay Aquarium. 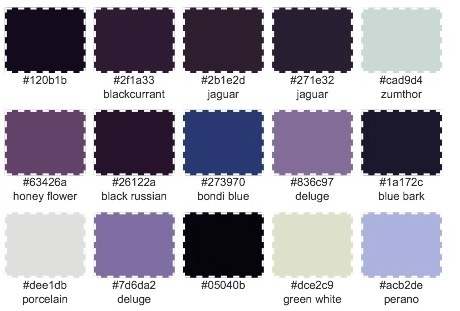 Look at those gorgeous blues and purples! There’s also a pale color behind the hermit crab with its jaunty hat—I keep thinking it’s something like a pale chartreuse, but no. It’s actually more like a shade of creamy grey! Just goes to show how adjacent colors affect each other, I suppose. 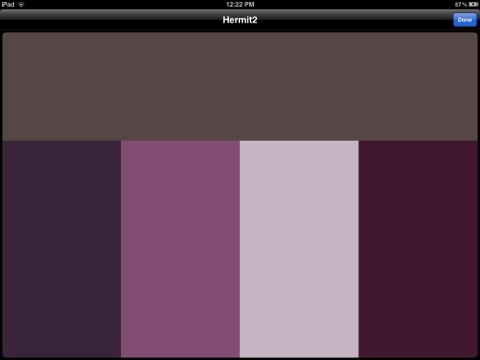 Most of the online color palette generators don’t really work all that well with the iPad (because you can’t upload a picture using the usual menus and because it’s hard to get a picture’s link). However, I did find a satisfactory one that plays well with Flickr and Facebook. It’s from BigahugeLabs.com: http://bighugelabs.com/colors.php. This time I decided to design a hexagon quilt; I used a free app called Sketchbook Express. I found some hex paper online and downloaded the picture. I wrote down the RGB numbers of the colors I wanted from Palettes and then used the paint bucket tool to fill in the design I wanted. And here we go! I am quite happy with that; I played some with using some colors as both dark and light, which I always enjoy. What do you think? 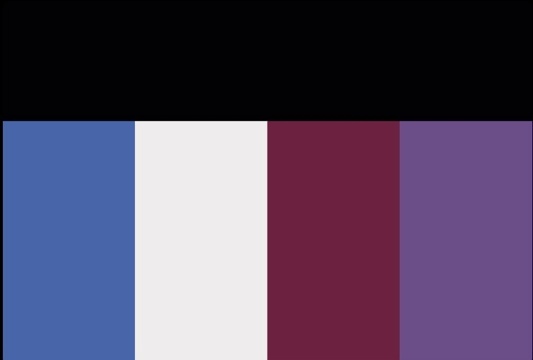 Not my colors (of course)(I always have to stick in that disclaimer, particularly when I am about to praise something… just to make it abundantly clear what bias I’m getting past 😉 ) but I think you have put them together very well! Very Eye-Pleasing! Thank you! Yes, not really my colors either, but I do like the combination. I might have a different perspective on such things; S was using a CCD camera in college for astro things.